Saturday June 23rd at 5:55 p.m., Shelley Chernin and I will perform a joint set of poetry and ukulele in Columbus, Ohio, at the Peace & Healing Tent Stage during ComFest 2018 in Goodale Park. Central Ohio poets Betty Bleen, Susann Moeller, Beverly Zeimer and Alexis Rueal will also perform. Then on Saturday July 7th at 7:30 p.m., Steven B. Smith and I will read from our new books at Visible Voice Books in Cleveland, Ohio. An open mic will follow, for anyone else who wishes to share. Steven B. Smith is the author of Where Never Was Already Is [2018, Crisis Chronicles Press]. Shelley Chernin is the author of The Vigil [2012, Crisis Chronicles Press]. John Burroughs is the author of Loss and Foundering [2018, NightBallet Press]. All three of us are co-authors (along with Mary Weems, Kathy Smith, John Swain and Steve Brightman) of Oct Tongue -1 [2014, Crisis Chronicles Press]. 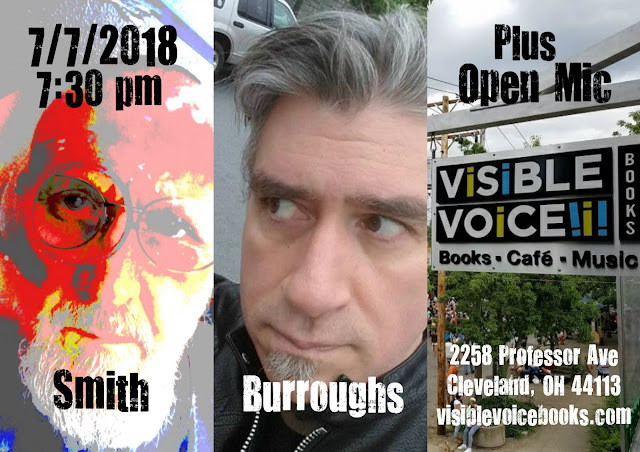 For my full 2018 poetry event schedule, click here. Sock it to me, Alex! 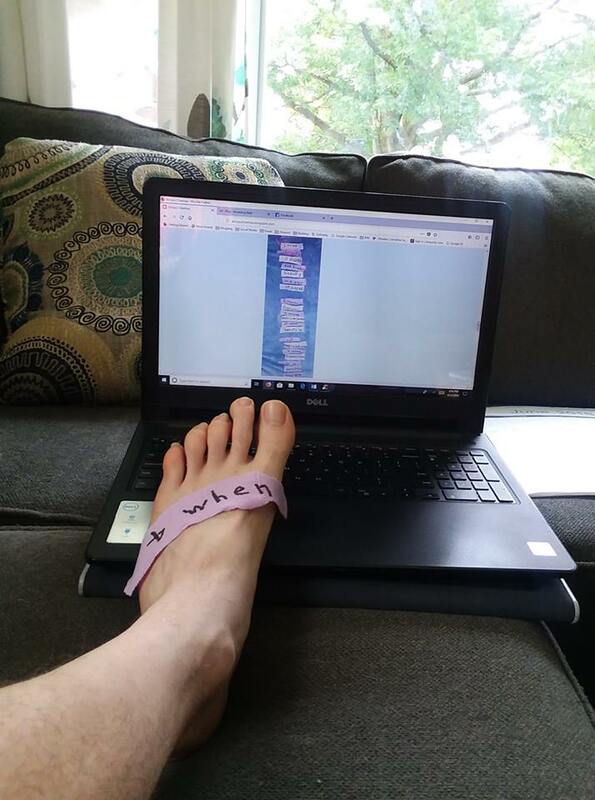 Got part of a poem and part of a sock (in one) from renowned poet and mail artist and friend Alex Gildzen in yesterday's mail, "& when" I tried to put it on my foot it fit like so. Read his whole poem here. Then read more about his project here.